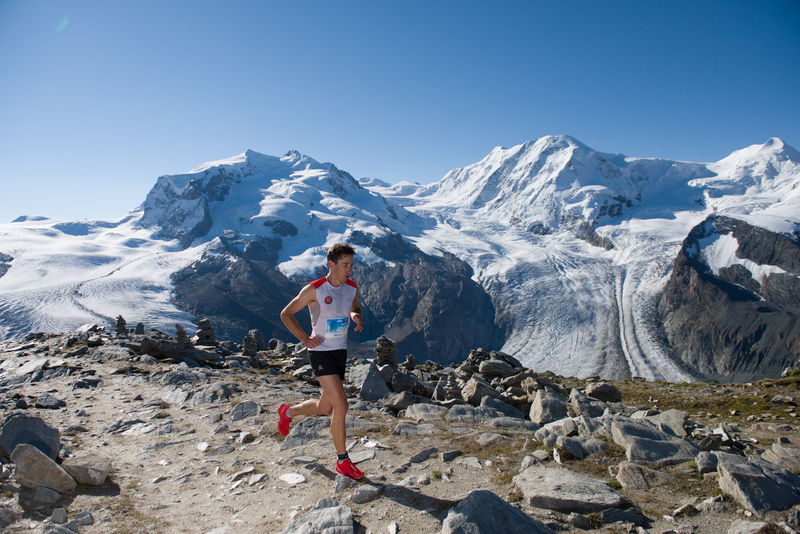 The 3rd edition of the Skyrunning Matterhorn Ultraks Trail took place at the weekend in Zermatt. Once again, the sun and the stars of the Trail kept on shining all day long. The Swiss Martin Anthamatten imposed himself on the men’s main distance, part of the Skyrunner® World Series, while the Italian Elisa Desco won the female’s race. Nearly 1’800 participants took the start of the “16K”, “30K”, “46K” and “VZR”. This year, the Spanish armada of the Trail couldn’t cope with the local runner and ambassador of the Matterhorn Ultraks, Martin Anthamatten. “To win such an important race here in Zermatt is a real dream. It’s for sure the greatest victory of my career”, commented the Valais winner after his race. He ran ahead the Spanish Manuel Merillas (4:54’32’’) and Aritz Egea (4:56’13’’). Just shortly ahead until he reached the Schwarzsee, Anthamatten finally managed to clearly step ahead over the last 20kms. On the women’s side, the winner’s podium remained unchanged with the exception of the Italian Elisa Desco, who took her revenge on Stevie Kremer (USA). Second last year after the American, she managed the perfect race this year, imposing herself in 5h23’46’’ and only 59 seconds ahead of her rival, but still not breaking her record. The third place goes once again to the Spanish Maite Maiora (5:31’30’’). To note that the American Megan Kimmel dominated the race until the last quarter, she had to abandon a few kilometers from Zermatt. In total, 1797 adults and 101 children of 58 nationalities and coming from 46 different countries took part in the third edition of the Matterhorn Ultraks Trail. When crossing the finish line, they all looked radiant after their experience within/through an outstanding mountain environment. It was unique! The barrier in Riffelalp with the sound of the alphorns echoing in front of the Matterhorn – This was one of the most beautiful moments in my life. I truly had tears in my eyes”, commented Antoine, participant of the “16K”. At the same time, the atmosphere was festive all through the day at the “Espace Ultraks”, where hundreds of spectators had come to support their favorite participant. Thanks to the video screen, they were able to follow the most significant moments from the heart of the village of Zermatt. This entry was posted in Uncategorized and tagged anthamatten, desco, ISF, kremer. 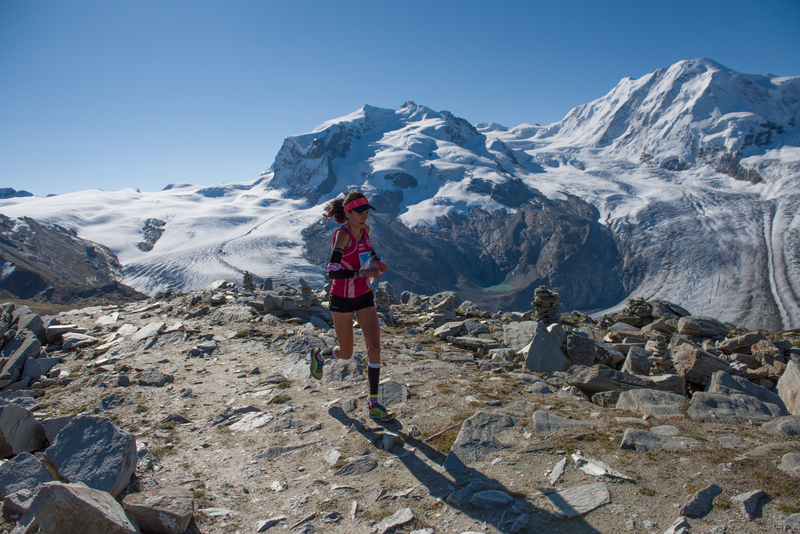 kimmel., Matterhorn, Scott, Skyrunning, Switzerland, Ultraks, Zermatt by talkultra. Bookmark the permalink.